(Aug. 17, 2015) — From the earliest moments of Kentucky’s recorded history, the lives of African-Americans have been intricately woven into the fabric of the state. The slave and bodyguard of pioneer Nathaniel Hart, often referred to as Captain Jack Hart, first entered what would become the Bluegrass State in 1774. Little is known of the life of one the first African-Americans to explore Kentucky’s frontier, though he was present the following year at the signing of the Sycamore Shoals Treaty in Tennessee, which resulted in the purchase of "Kaintucke" from the Cherokees. The sparse records that do exist indicate that Jack Hart played a central role in Daniel Boone’s early exploration of the state during the mid-1770s serving as the pioneer’s "pilot," or guide. However, black settlers like Jack Hart did not migrate to Kentucky by choice — they came as slaves with no rights and no promises of a bright future. Yet even against this backdrop, many Kentuckians of African descent overcame the circumstances of the era, as well as the difficulties to come, to make their impact felt in Kentucky and beyond. "Sometimes the truth is painful, but it must be told," said Gerald L. Smith, the Martin Luther King Jr. Scholar in Residence and Theodore A. Hallam Professor at the University of Kentucky Department of History. Now, a first-of-its-kind reference, The Kentucky African American Encyclopedia, a foundational guide to the black experience in the Commonwealth has been assembled to do just that. 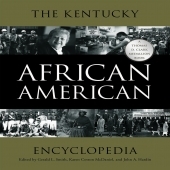 The book, published by University Press of Kentucky (UPK), was compiled by three editors: Gerald L. Smith; Karen Cotton McDaniel; and John A. Hardin. Capturing the earliest frontier years to the present, the encyclopedia chronicles the individuals, events, places, organizations, movements and institutions that have shaped the state’s history. Researching Kentucky's own African-American history was an obvious progression for Smith, who chose his university studies in urban and African-American history based on a passion and interest in learning more about his own community's role in the state. "Growing up in this community, I was very interested in the African-American experience because I found very little about blacks in Kentucky or blacks in Lexington." Smith said. That passion and his studies in the field would place him on a trajectory that would make him leader of The Kentucky African American Encyclopedia project, which began at UK in 2008. "Kentucky got hold of me and I just looked at all the work that needed to be done and the possibilities looking at the Kentucky African-American experience." Across the remarkable accounts painstakingly detailed by the editors and a team of more than 150 contributing authors, what is perhaps most impressive, is the breadth and scope of the history that is revealed. As the more than one thousand entries make clear, Kentucky African-Americans have played pivotal roles in every facet of our state’s community as athletes, builders, coal miners, doctors, entrepreneurs, educators, lawyers, nurses, organizers, religious leaders and more. Among the individuals included in The Kentucky African American Encyclopedia are those whose impacts have been felt both at home in Kentucky and across the nation, from Mae Street Kidd, an outspoken civil rights advocate and champion of the poor who was first elected to Kentucky’s House of Representatives in 1968, to Willa Brown Chappell, the first African-American female to receive a pilot’s license in the United States. Also counted are those not born in Kentucky but whose imprint on the state has been undeniable, from Virginia’s Thomas Fountain Blue, a pioneer librarian in Louisville who was the first African-American to head a department in a free public library, to South Carolina poet and former UK professor Nikky Finney, whose work has not only won a National Book Award but who has also been instrumental in the founding of the Affrilachian poetry community. While the most obvious goal of the encyclopedia is to highlight the presence, effects, and importance of African-Americans across Kentucky and throughout the state’s history, there is also another objective: to highlight African-American agency. In this way, The Kentucky African American Encyclopedia and its contributors shed light on what African-Americans did for themselves in their respective worlds. It reaches outside and beyond the traditional narrative of Kentucky’s past to capture hidden and forgotten stories which deserve their place in Kentucky and American history. Even still, this encyclopedia makes clear that the rich history of African-Americans, like so much of the black experience, remains to be told. As more of these stories are readily available in the Commonwealth, perhaps this work will inspire those in other states to do the same. The new release, winner of the 2015 Thomas D. Clark Medallion Book, will be celebrated at a panel discussion presented by the Filson Historical Society and the Muhammad Ali Center. Larry Muhammad, a playwright and former Courier-Journal reporter, will lead the discussion with the encyclopedia's three editors. The Kentucky African American Encyclopedia event will begin 6 p.m. Wednesday, Aug. 19, at the Ali Center. This event is free and open to the public but reservations are requested, due to limited seating. For more information or to RSVP, call the Filson Historical Society at 502-635-5083. Gerald L. Smith, an alumnus of UK as well as a professor of history there, is the author of "A Black Educator in the Segregated South: Kentucky's Rufus B. Atwood and Lexington, Kentucky" and coeditor of The Papers of Martin Luther King, Jr.: Advocate of the Social Gospel, September 1948–1963, Volume VI. He has appeared in historical documentaries which have aired on CBS, NBC, KET, the CBS Sports Network and TruTV. Smith pastors the Pilgrim Baptist Church in Lexington. In 2014, the Commonwealth of Kentucky’s Personnel Cabinet presented him with the annual Charles W. Anderson Laureate Award, its highest award given to individuals recognized for significant contributions to equal opportunity in their communities. To see Gerald L. Smith talk about his work on The Kentucky African American Encyclopedia, watch the video playlist above. Video by UK Public Relations and Marketing. Karen Cotton McDaniel, professor emeritus at Kentucky State University (KSU), was a tenured full professor and director of libraries at KSU. She has also served as a law librarian at the Kentucky Department for Public Advocacy, as well as an archivist at the Kentucky Department for Libraries and Archives. She has more than 20 publications on black Kentuckians, including chapters in books such as "Kentucky Women: Their Lives and Times," articles in journals and encyclopedic essays. McDaniel has also taught at Eastern Kentucky University and Berea College. She is a charter member and an officer of the African American Genealogical Group of Kentucky and has served on the Kentucky Historical Society Executive Committee Board. John A. Hardin, professor of history at Western Kentucky University (WKU), has served as assistant to the provost for diversity enhancement in the WKU Office of Provost and Vice President for Academic Affairs and as assistant dean of the Potter College of Arts, Humanities, and Social Sciences. In addition, he has taught at Eastern Washington University, Kentucky State University, Kentucky Wesleyan College, Spokane Community College, UK and University of Louisville. Hardin is the author of two books, "Fifty Years of Segregation: Black Higher Education in Kentucky 1904–1954" and "Onward and Upward: A Centennial History of Kentucky State University 1886–1986"; the coeditor of "Community Memories: A Glimpse of African Americans in Frankfort, Kentucky"; and the author of several journal articles. UPK is the scholarly publisher for the Commonwealth of Kentucky, representing a consortium that now includes all of the state universities, five private colleges and two historical societies. 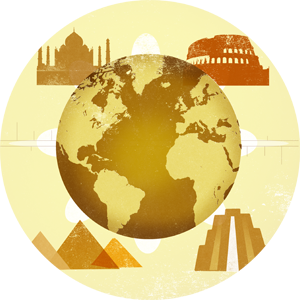 The editorial program of the press focuses on the humanities and the social sciences. Offices for the administrative, editorial, production and marketing departments of the press are found at UK, which provides financial support toward the operating expenses of the publishing operation.